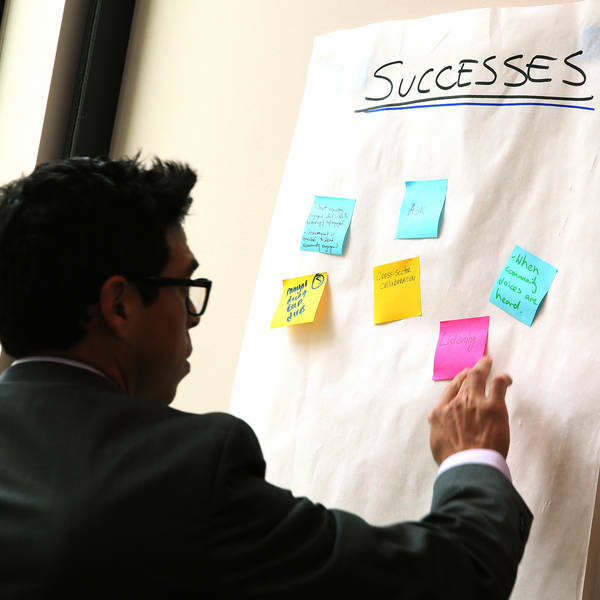 Detroit's emergence from bankruptcy was hard, but the city's resilience revealed three overarching principles that could be applicable to other cities facing seemingly insurmountable challenges. 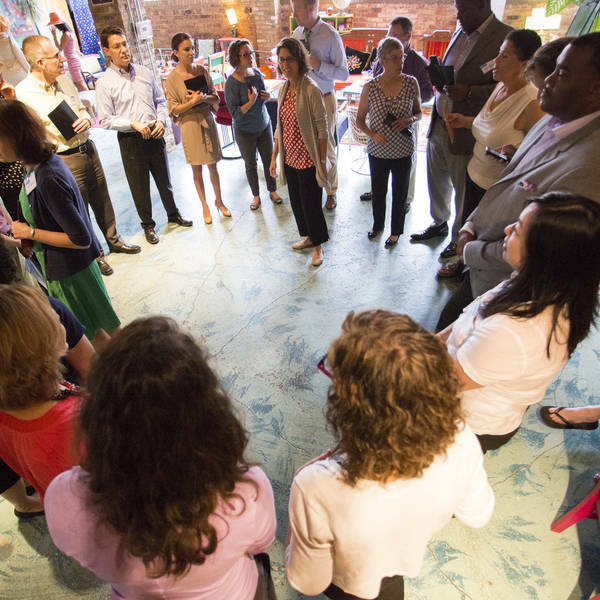 Living Cities open-sourced our 2014 annual report, asking folks to respond to the question: “What will it take to achieve dramatically better results for low-income people, faster?” This Throwback Thursday blog is a response to that question. It was originally posted on January 28, 2015. See the report and follow the conversation on social media with #NewUrbanPractice. 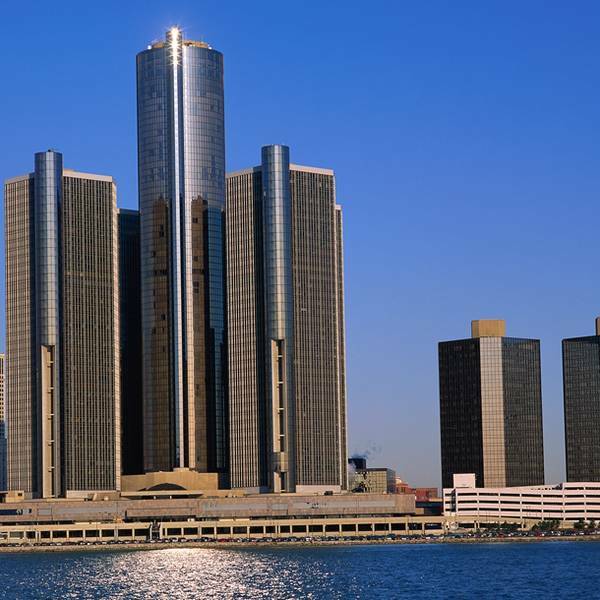 Detroit has become the largest city in the United States to exit bankruptcy, with the approval of a plan to slash $7 billion in debt and reinvest $1.4 billion to improve city services – a result made possible by the “Grand Bargain,” an $816 million infusion of capital from the State of Michigan, philanthropy and the Detroit Institute of Arts that safeguarded against both deep cuts in city pensioners’ benefits and the dismantling of the DIA’s art collection. With Detroit’s bankruptcy behind us, it’s time to step back and reflect. 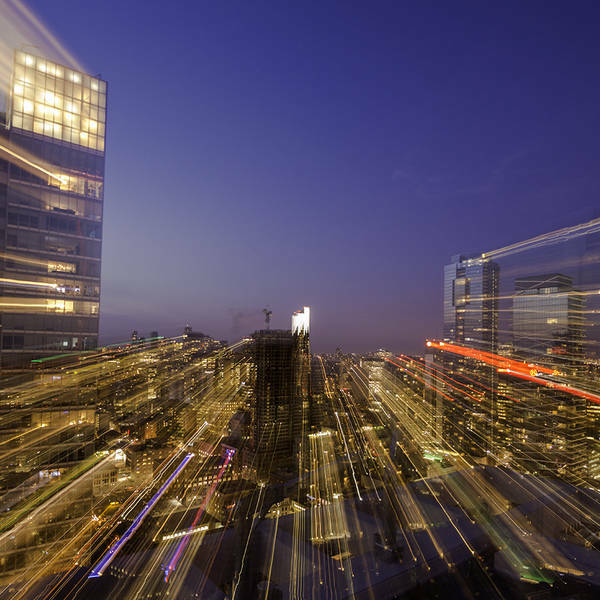 I would suggest that the path through the bankruptcy illuminates three overarching principles that may have direct application to other cities facing seemingly insurmountable challenges. But it’s important to start with some Living Cities context. The bankruptcy didn’t occur in a vacuum. Over the past six years, philanthropy – together with partners from the public, private and nonprofit sectors – had been slowly and surely constructing a civic scaffolding that created key elements of recovery that would become embodied in the bankruptcy’s plan of adjustment. From land-use to transit…small business and entrepreneurial development to real estate revitalization…anchor institution local live/work/buy strategies to strengthening the arts and cultural ecosystem. And many more. Living Cities was central to a great deal of that work. First, Detroit leaned heavily on the expertise of Living Cities' members in forging early responses to the national financial and foreclosure crises of 2008-09. With particular help from the Ford and Casey foundations, Kresge and others were able to begin fashioning strategies focused on the provision of targeted homeowner counseling, the establishment of a city land-bank and the creation of a centralized data intermediary. Second, in 2010, Living Cities selected Detroit to be one of its five Integration Initiative sites. The benefits were multifold. The provision of grant dollars to expand dramatically the capacity of an already effective, but undercapitalized, community development corporation: Midtown, Inc. The pooling of some $25 million of loan funds that enabled the city not only to attract a remarkably effective national community development finance institution, but also to begin developing the capital absorption muscle the community needed to put those resources to work. The fuller integration of the Woodward Corridor’s educational and medical anchor institutions into the community’s residential revitalization efforts. And third, in 2012, Kresge was able to call on Living Cities members Prudential, Met Life and Morgan Stanley to help create the $30.5 million Woodward Corridor Investment Fund, which was designed to provide one-stop gap financing necessary to accelerate the consummation of mixed-use, mixed-income, transit-friendly real estate projects along the city’s central artery. If Living Cities was instrumental to setting in place essential building blocks of Detroit’s emergence from bankruptcy, the role of philanthropy in the nuts-and-bolts resolution of the bankruptcy is worthy of special note. 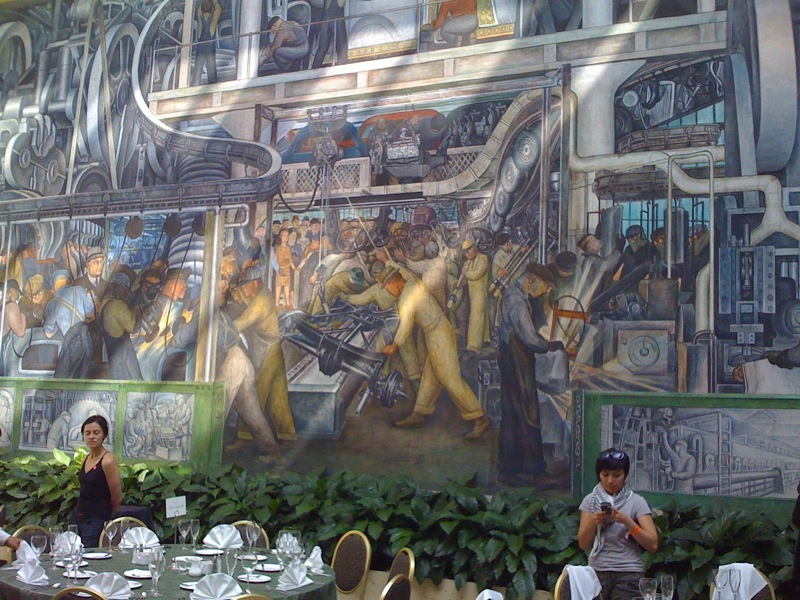 In so many ways, the iconic Detroit Industry Murals by Diego Rivera on display in the Detroit Institute of Arts (DIA) personify the spirit of Detroit, where citizens of varying backgrounds came together to build the city with their own hands. It is this spirit of hard work and determination that made Detroit an envy of the world – and that persists in communities throughout the region today. 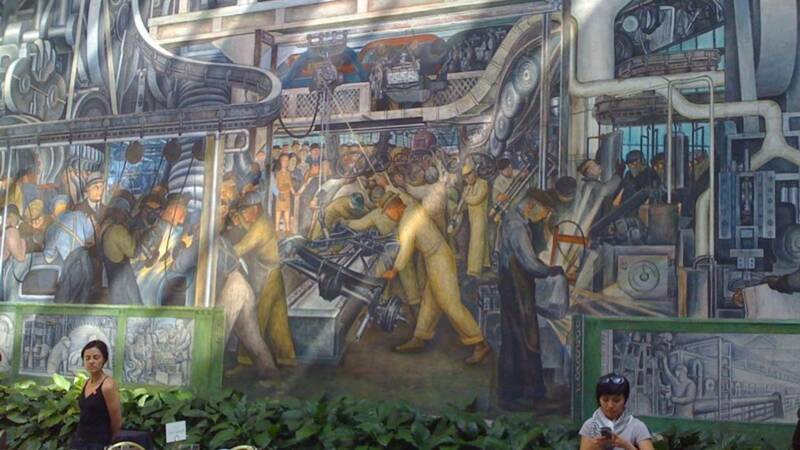 Detroit’s Murals, by Diego Rivera. Photo by Ryan Griffis, Flickr CC by 2.0. Despite the iconic nature of the murals, it’s rare that public employees and artwork are talked about in the same breath. But in Detroit – and, indeed, in countless cities across the country – the duo constitute an essential part of the city’s soul. 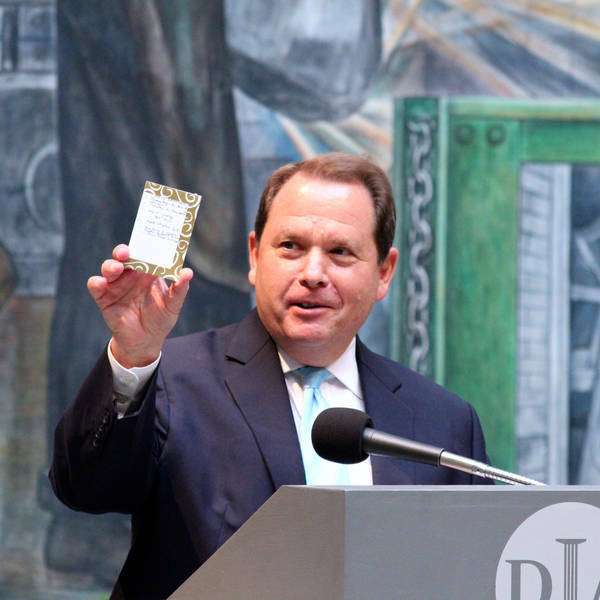 The bankruptcy proceedings put at risk both the pensions of tens of thousands of Detroit’s retirees and the world-class art collection at the DIA – indeed, the rhetoric and public positioning of parties to the proceedings all too frequently pitted the one against the other. As the museum and retirees led the news, the focus was neither the enduring spirit of the murals nor the contributions of Detroit’s workforce. The central question seemed to be the value of either one – wasn’t it an inevitable consequence of a mismanaged pension system that retirees’ benefits would have to be reduced? Wouldn’t it be immoral to refuse to deaccession a Van Gogh or Brueghel when pensioners stood to suffer? In retrospect, these were—of course—a false set of constructs. The community – and certainly a philanthropy like Kresge, which is committed to expanding opportunities for low-income people in America’s cities and to strengthening the building blocks of urban health and vitality – couldn’t stand by while the livelihoods of pensioners were dealt a devastating blow. And we couldn’t keep quiet as creditors hovered in anticipation of stripping the assets of one of our community’s greatest treasures. So we — along with dozens of partners across the private, public and philanthropic sectors — contributed to the Grand Bargain. In doing so, we affirmed our commitment not only to Detroit’s future, but to an even Grander Bargain: The notion that society’s disparate sectors can find shared ground in creatively deconstructing a community’s most intractable challenges and fashioning solutions based in the common good. This social compact – and the set of values it embodies – provides the key to navigating the 21st century urban circumstance. I would, therefore, extract three principles from our experience in Detroit. First, it’s essential to construct bridges among stakeholders perceived to hold divergent perspectives. The Grand Bargain is a study in collaboration between diverse – perhaps unexpected and even ostensibly misaligned – stakeholders. When our group of foundations first announced this investment in January, we hoped our involvement would bolster the spirit of positive engagement and creativity in Detroit, encouraging others to invest strategically across the region. It did. Local and national philanthropies, retirees and unions, elected officials on both sides of the aisle and from all corners of Michigan, businesses from the “Big Three” automakers to JP Morgan Chase, cultural advocates, a groundswell of Detroit residents – all came together to forge this compromise, underscoring that no one entity, or sector, can do it alone. Second, disruptive thinking can be a constructive act. The midwife of the Grand Bargain – chief mediator and Federal District Court Chief Judge Gerald Rosen – first proposed to me and my colleagues an inconceivable proposition: that philanthropy would raise some $500 million to safeguard the pensions and the art. Our initial reaction – to put it politely – was disbelief. Our second reaction was not much better – pragmatically calculated dismissal. But the elegance and power of the solution gradually seeped into our resistant mindset. So we went to work unpackaging its implications, identifying its pitfalls, zeroing in on its benefits and constructing a road-map for its operationalization. Gerald Rosen announces the Grand Bargain (left) and Detriot’s Old City Hall (right). Images courtesy of A Healthier Michigan and Aidan Wakely-Mulroney, Flickr. I wish I could say that philanthropy generated the conceptual break-through. But maybe that’s not so important. 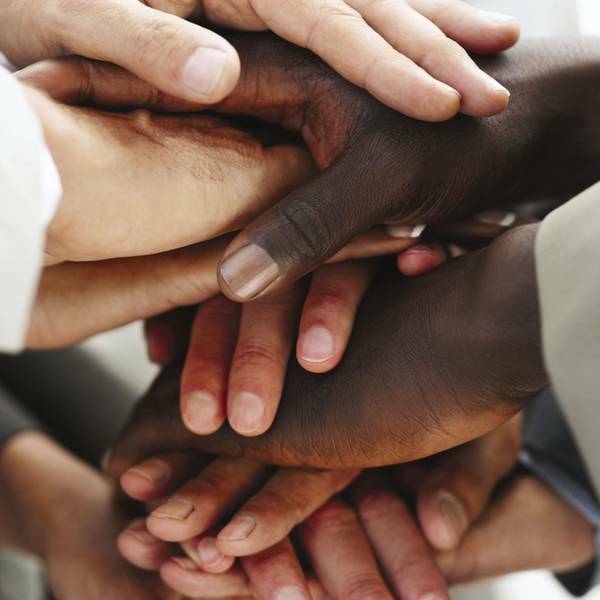 An essential partner did, and philanthropy had the collective wisdom and courage to recognize that and act. And in acting, we had to call on so many qualities that can distinguish philanthropy at its best: a tenacious attention to the detail required to execute a legal framework; the embrace of a role that many derided as inappropriately activist and blithely insensitive to precedent; the resolve to tap resources far beyond what our normal and measured budget planning would envision; the stewardship of steely trustees who charged us to reinterpret what was central to philanthropic mission. 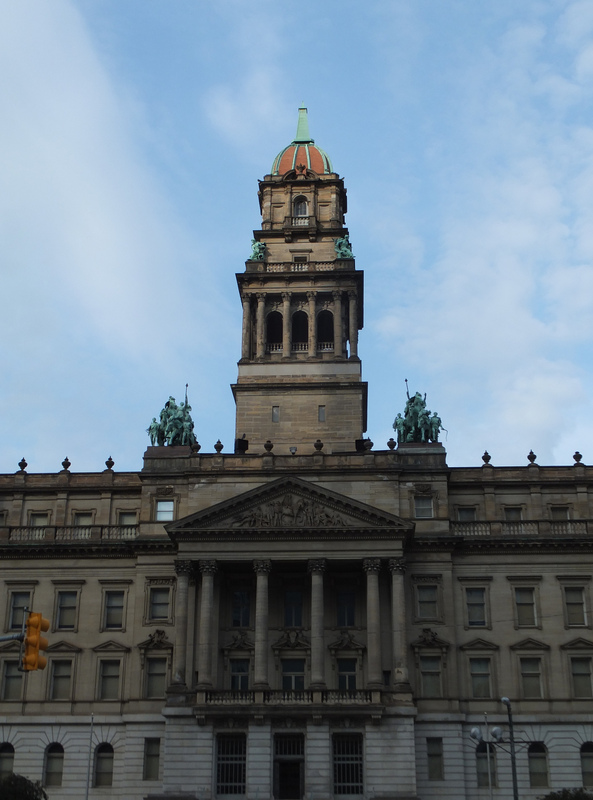 It’s unlikely that other cities will mimic Detroit’s precise circumstance. But it’s a virtual certainty that faced with grave and impenetrable challenges, their arsenal will have to be defined by a similar openness to operational disruption, intellectual discomfort and reputational risk. Third, seed the future for all. The Grand Bargain also reflects the values that we, as foundations, believe are essential to prosperity and inclusion. On one hand, shoring up pension funds helps families, bolsters the local economy and relieves pressure on municipal operating budgets. On the other hand, it signals that there is dignity in public service performed on behalf of the community and honor in managing the municipal enterprise with integrity. In order to catalyze lasting, transformative change in cities, it’s important to focus on the right results, data and systems changes. 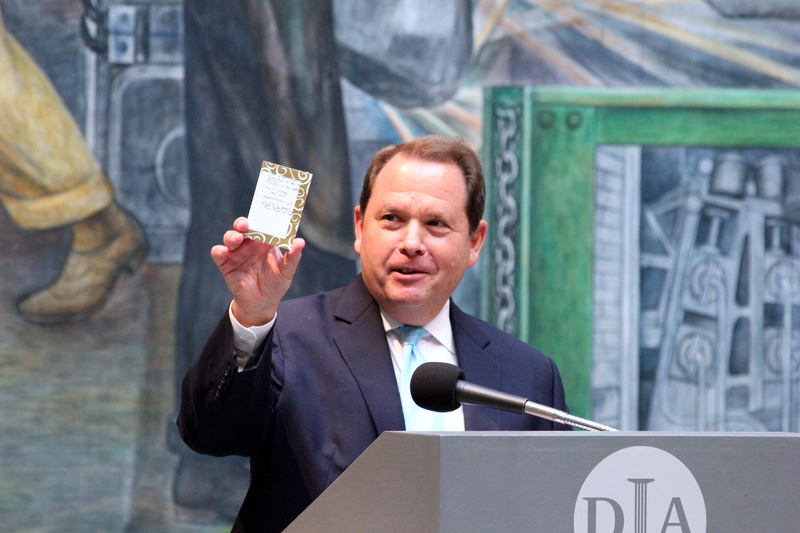 Similarly, treasured cultural beacons like the DIA strengthen metropolitan economies, provide a point of civic pride and contribute to a place’s identity. They also reflect part of a community’s irreplaceable cultural patrimony and serve as a tangible bridge between a city’s past, present and future. 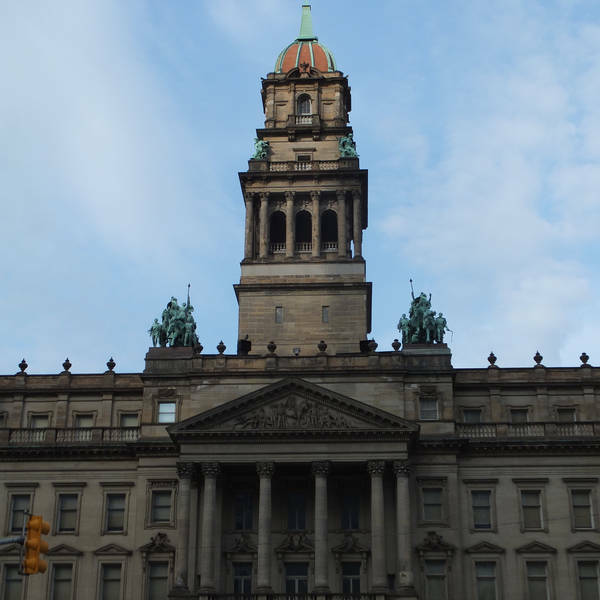 The Grand Bargain activated both sets of considerations, ensuring that the city would not become ensnared in endless litigation about the primacy of State Constitutional pension protections or the sanctity of art treasures held in the public trust. By providing the linchpin to a speedy and complete emergence from bankruptcy, it put the City of Detroit back in the starting blocks. There’s no doubt that Detroit’s emergence from bankruptcy has been hard. The road ahead will be profoundly challenging, as institutions need rebuilding, communities need repairing and the trust of citizens needs restoring. It is nevertheless the positive characteristics of the Grand Bargain that form the basis of Detroit’s future – and that serve as inspiration for other cities to confront their future with a sense of possibility, not pessimism. Resilience and hope triumphed in Detroit. Economically, socially, politically, culturally, we are poised for long-term health. All sectors and corners of the city have joined to reweave a fabric of strength, determination and optimism from which there is no turning back. If there’s a lesson from Detroit’s bankruptcy, this is it: We can and we will come together to protect and advance our cities. 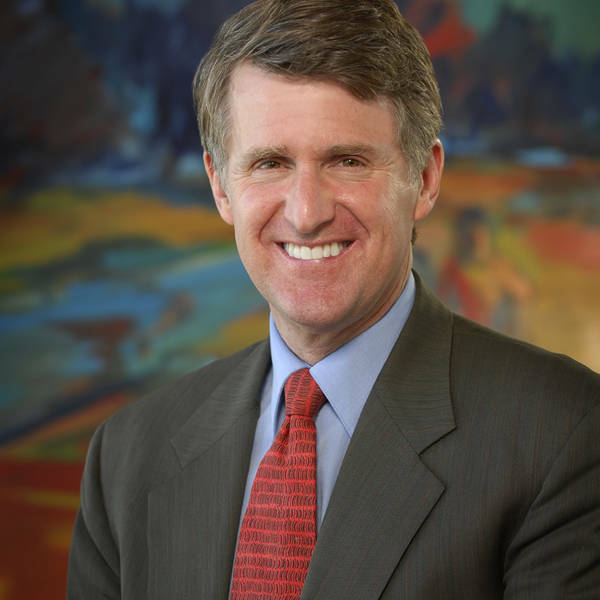 Rip Rapson is president and CEO of The Kresge Foundation, which contributed $100 million to Detroit’s “Grand Bargain.” He is also Chairman of the Living Cities board.